This is a short manual (by steps) how to start to use AutoFormer+. Step 1. 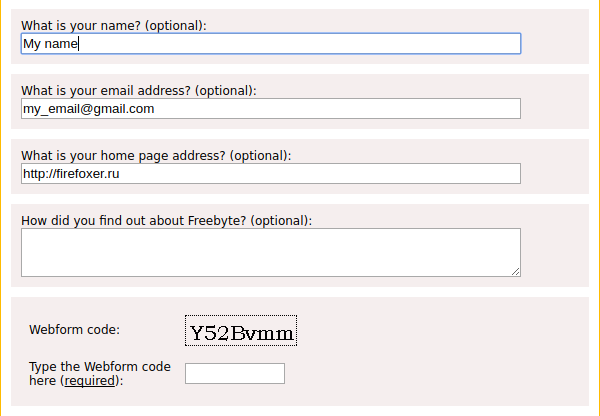 Open page with web form you need to autofill. Step 2. Fill all fields for next autoload. Step 3. Right mouse click on any textbox to call context menu. 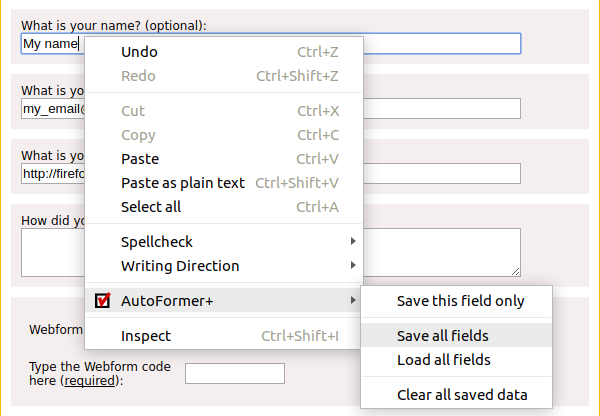 Select first "AutoFormer+" menu section then "Save all fields" menu item to save all fields on page. Step 4. 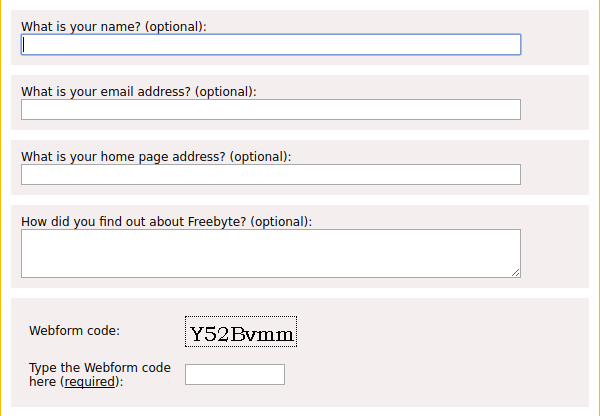 If you close this page and close the browser and then after some time again go to it, then those fields that you once filled out will be filled this time exactly the same way.